We often associate getting enough sleep with physical health. Lack of sleep or sleeping in the wrong position causes backaches and a myriad of other body aches. However, sleep is also critical for our brain to function at its best condition, and while we are asleep, the brain works out important functions. For youngsters and children, sleep is when their bodies and minds grow. Without sufficient sleep, it may cause us to have concentration problems, feelings of grumpiness and eventually impairs our judgement. But that’s not all, poor sleep is not only a symptom of poor mental health but also a cause for it. So, here’s how sleep affects your mental health. Think about it, one bad night or insufficient sleep can ruin your day. For starters, many people can become grumpy and irritable. Not to mention, our concentration levels are low and we become sluggish. If you had a sleepless night, chances are high that you’ll overreact whenever things don’t go your way and you may be indolent even when something exciting is happening around you. Studies show that lack of sleep has a close relationship with mood disorders. It’s a vicious cycle, sleeplessness can cause mood disorders and in turn, such a disorder can be stressful and cause sleeplessness. Some of these mood disorders can develop further into complex conditions such as depression. Speaking of depression, nearly six in every 100 people in Singapore have suffered major depressive disorders in their lifetime. The figures are much higher for mild depression disorders. Research shows that more than 80 per cent of adults suffering from depression experience some kind of sleep disorder. In most cases, depression patients suffer from insomnia. However, the opposite can happen. Lack of sleep can enhance the risk of developing depression. Studies show that insomniacs with symptoms of mild depression are four times more likely to develop major depression than their ‘normal sleeper’ counterparts. To improve the way you sleep and keep depression at bay, most people will usually invest in an excellent mattress such as a pocket spring mattress in Singapore to help them sleep better at night. While this is a great choice, there are still plenty of other options out there for you to choose from. Patients suffering bipolar disorder often experience hypersomnia during manic episodes of bipolar disorder. However, scientists have revealed that lack of sleep can trigger a bipolar mania or worsen bipolar depression. Lack of sleep also negatively affects moods and increases the chances of a relapse. Feeling nervous or anxious when you are in a stressful position such as facing a test, is absolutely normal. However, when the anxiety gets out of hand and it happens even in situations that are regarded as normally not stressful, then it could mean that you are having an anxiety disorder. Statistics show that about one in ten Singaporeans has some form of anxiety disorder which includes Obsessive Compulsive Disorder (OCD), Post Traumatic Stress Disorder (PTSD), and certain phobias. Studies show that lack of sleep can worsen the symptoms of anxiety disorders and in worst case scenarios, even inhibit recovery. Insufficient sleep promotes the retention of negative emotions and therefore worsens the conditions. In conclusion, with so many mental health conditions affected by lack of sleep, an obvious prescription to assist in recovery is restorative sleep. 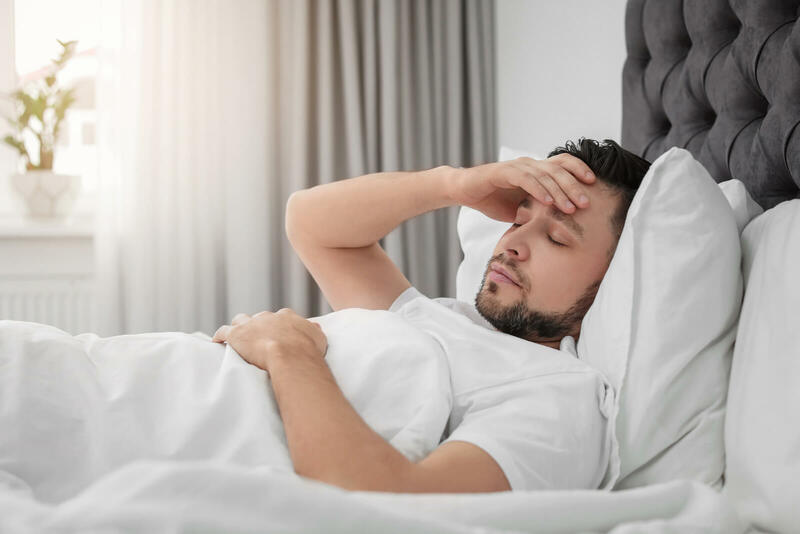 You can avoid sliding into deeper mental health disorders simply by making a few changes in your life in order to get better and more restful sleep. One way you can achieve this is by replacing your old mattress with a firm, memory foam, pocket spring or latex king mattress in Singapore. It will definitely be a worthy investment in helping you get the sleep that you need.